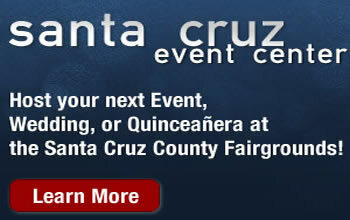 At the Santa Cruz County Fairgrounds, the main stage is set, a sea lion tank has been filled, and dozens of booths, installations and entire halls have been readied. It's quiet enough for normal conversation, although only for a few more hours. It's the calm before the fair.